Street Pole banners are a great way to showcase a message whether it’s a temporary, seasonal, or all year round campaign. 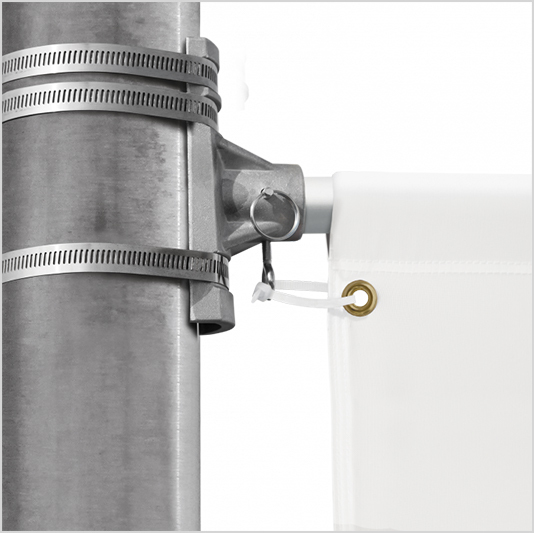 The hardware is easy to install and can be installed on existing street lamp poles in the city, withstands months of weather before having to be replaced. With their universal appeal, these banners are among the best advertising tools to grab attention wherever they are displayed. 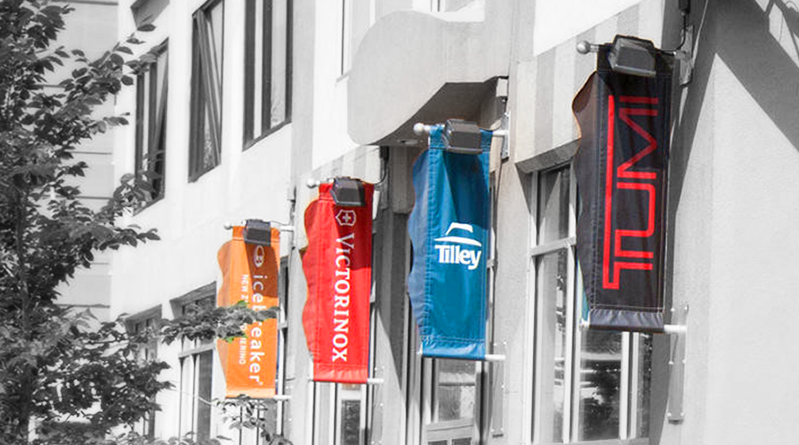 Our street banners are available in nylon, polyester, vinyl and vinyl mesh. Our favorite Pole Banner Blockout 18 oz. is a heavy duty blockout banner material for outdoor applications. Its uniquely woven 1000 x 1000 scrim provides strength and stability under harsh weather conditions. 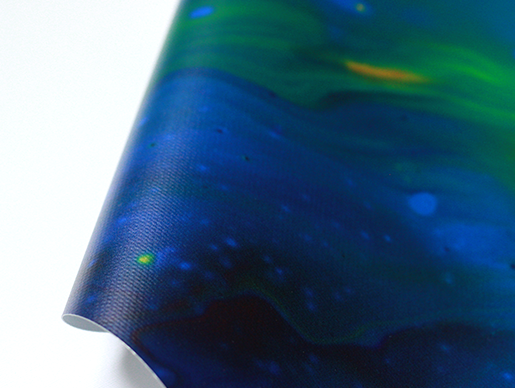 13oz Vinyl Banner is economical choice for short term street pole banners. 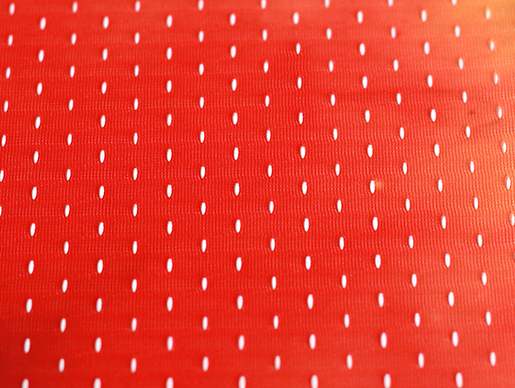 100% Polyester mesh fabric is strong and porous, able to withstand windy conditions. 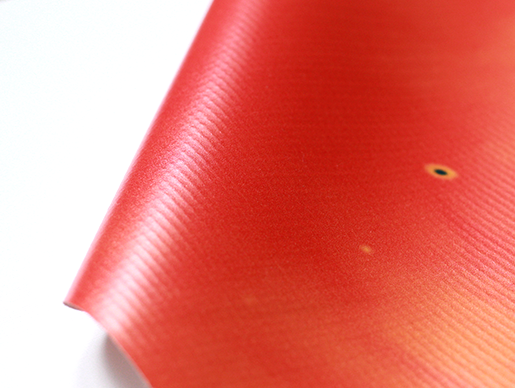 200D/210D Nylon, knitted polyester fabric are also available for street pole banners. Easily mounts to light poles for on-the-street advertising. 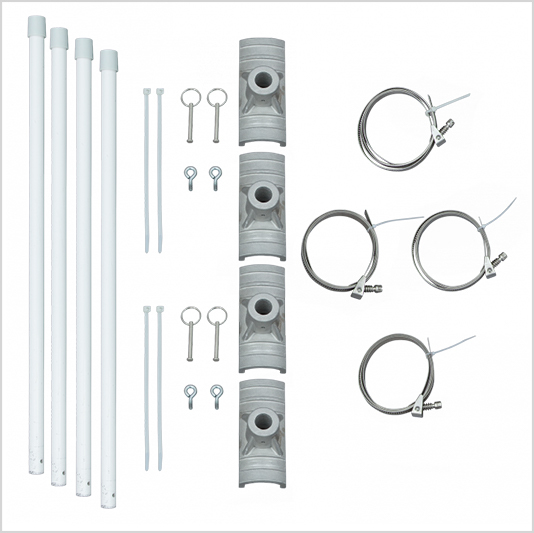 Hardware includes aviation-grade fiberglass poles, heavy-duty mounting brackets and steel bands. 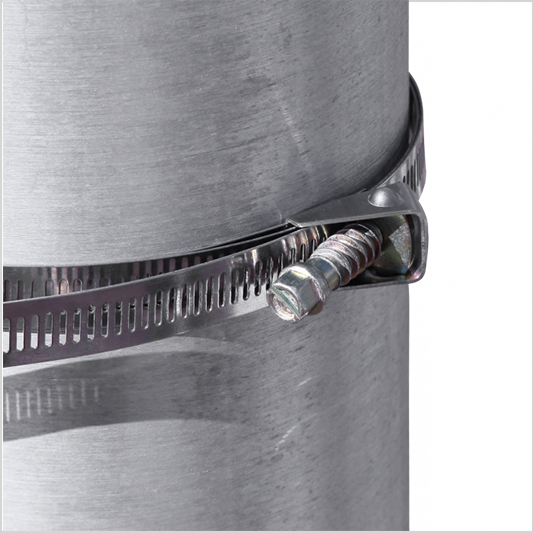 Heavy-duty mounting brackets allow up to 3 steel bands for support. 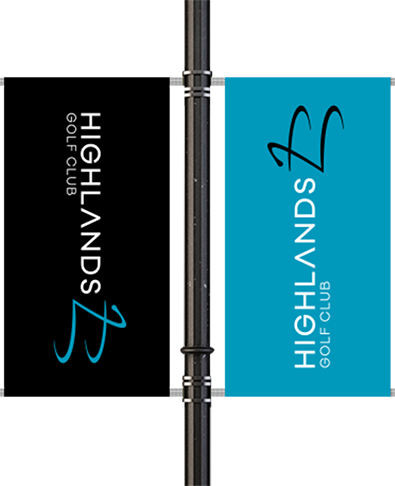 Street pole banners can be printed single sided or double sided.